Sure this facility has a funny name, but, as one can imagine, it can come in handy. I have seen another named, 'Honey Bucket' in Irving, Texas. 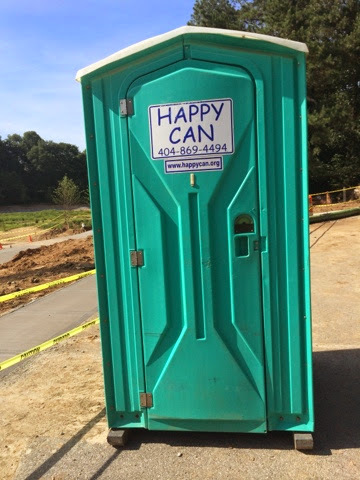 I think I like 'Happy Can' better. Will be gone soon as the final touches on the lake renovation project is completed. But, not to worry. There are facilities at the swimming pool adjacent to lake path.